We shall see in the following Letters of St Gemma, that she had a intense desire to become a Passionist nun, however after a long time she eventually discovered that it was not God’s will, and with heroic resignation she offered this great sacrifice to God. 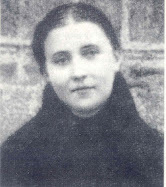 At that time the Passionists in Corneto, Italy were unwilling to accept her due to her history of ill health and the fact that tuberculosis had afflicted her family (her mother, brother and one sister died of tuberculosis), and also the fact that she had no dowry, that is, she was very poor and had no financial ability to assist with her entrance into a religious community. Not long before her death, Gemma resigned herself to God’s will in this regard, and abandoned the idea of becoming a Passionist, heroicly accepting the disappointment. 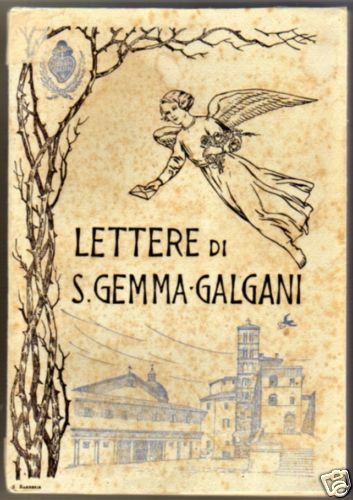 The present issue of THE PASSIONIST contains the first of St. Gemma's letters to her spiritual director, Father Germanus, C. P. Succeeding issues will contain in chronological order the letters that the Saint wrote to Father Germanus. 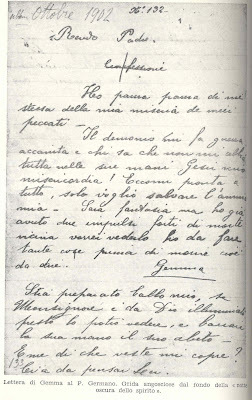 Most of St. Gemma's published letters were written to him though some were directed to her regular confessor, Monsignor Volpi, and a few to various other persons. Those to Father Germanus are understandably richer in content than the others so they will be given priority. All told, we have one hundred and thirty-one letters written to Father Germanus covering a period from Jan. 20, 1900 to March 18, 1903. Gemma died less than a month after the last letter was written, on April II, I903. Her letters to Father Germanus therefore contain the fruit of the crowning years of her spiritual life passed under his direction. In them she speaks with the simplicity of a child, no secrets of her soul are withheld from her spiritual Father. Her letters are written in such a personal and homey style that they give us a very rewarding insight into the spirit of the Saint. One feels the spirit and breathes the atmosphere of another world as he follows the growth of her soul through the letters. Like her Autobiography*, I am sure that the Letters of St. Gemma will carry their own conviction and win the reader to this so loveable. Saint. *For the text of the Autobiography, see THE PASSIONIST, July 1954, or CROSS AND CROWN, June and Sept. 1955. At present, tentative plans are being made to have it published also in pamphlet form. LETTERS OF ST. GEMMA TO FATHER GERMANUS C.P. For several days now I have been uncertain as to whether I should write you or not. Miss Cecelia has spoken to me many times about you and for a long time the greatest de­sire of my heart has been to see you and also to write to you. I asked permission of my Confessor to do so and he always said no. Last Satur­day I asked him again and this time he said yes, if I wanted to. But here I am at the point of writing and I feel held back by fear, and do you know why? I should tell you about certain very strange things, so strange that even you would wonder. I tell you frankly: I am a little strange in the head(2), and consequently I imagine that I see and hear things that are impossible. I say impossible because Jesus has never spoken to nor shown Himself to other souls like He has to my poor sinful soul. Some time ago I got the idea of asking Jesus if He would let me see you. He did not oblige me right away but a few days later when I was praying I seemed to see a Pas­sionist who was also praying before Jesus in the Blessed Sacrament. And Jesus said to me: "Do you see what Father Germanus looks like?" I look­ed and do you know what I saw? You were a little on the heavy side, kneeling very quietly with your hands joined and it seemed to me that your hair was more white than black. But I will tell you something stranger still. For almost two years I was seriously ill with meningitis (or spinal tuberculosis -ed). I stayed in bed an entire year and then Blessed Margaret Mary Alaco­que cured me. While I was in bed a lady brought me the life of Brother Gabriel to read(3). I read it many times. One day the lady came to take it back but because I no longer want­ed to give it back I told her I wasn't finished reading it. She left it with me a little longer and I kept it with his picture under my pillow. This gave me such contentment that I couldn't express it. Every day I was afraid that lady would come and take it away from me. Finally, one day she came for it. No sooner was I deprived of it than I began to cry. It seemed that everything had been taken away from me and as usual I began to brood. All my consolation had been in that book. But night came and it seemed to me that a young man clothed in white was standing at the foot of my bed and I thought I heard him say these words: "Gemma, are you so dis­pleased at being deprived of that book?" "oh, terribly so," I replied. "And why?" he asked. I didn't an­swer because I didn't even know. Then he pulled aside his white gar­ment and I saw that underneath he was clothed as a Passionist. He held out his Sign [Passionist Badge sewn on the chest of the Passionist habit–editor] for me to kiss and then said to me: "Rest assured that this displeasure that you have experi­enced will one day be rewarded with a consolation that will be infinitely greater. "Have courage," he said, "and carry on." With this he disap­peared. Meanwhile, a mission was about to be held here in Lucca; only eight days remained before it would begin. One night Brother Gabriel came and said to me: "Go and make your confession to Father Cajetan(6). Tell him everything you have hidden from your Confessor up to now, and tell him also that you want to become a nun but that you want a very aus­tere rule." The time for the Mission arrived and I decided to go to con­fession the last day, a few minutes before the sermon. I told him every­thing and later went to confession to him a few more times. When Fa­ther Cajetan heard that I wanted to become a nun he said: "There are also Passionist nuns." From that mo­ment my thoughts centered on those words and on my desire to become a Passionist. I told my Confessor about this and he was satisfied and he also told me that he wanted me to enter a stricter order than the Visitandines. Along with my vocation I also had from that time on a great devotion to Brother Gabriel. I began to pray to him and my prayer was always that he might grant me the grace to become a Passionist soon. "Why so far away?" "So that I might forget everyone and everyone might forget me," I told him. He did not reply. He blessed me and went away. Before he disappeared he said: "Fear not, you will become a Passionist." Another time I was crying because I wanted a grace from Jesus and he (Brother Gabriel) said to me: "Why are you discouraged? Have recourse to my Sorrowful Mother. During my life I do not remember ever having asked any grace of her that I did not receive." Then one day I became very discouraged again because I saw that it seemed impossible for me to become a Passionist because I have nothing at all; all I have is a great desire to be one. May Jesus at least grant me this grace soon because I am not at peace. I suffer much see­ing myself so far from realizing my desires. Noone will ever be able to take this desire away from me. But when will it ever come to pass? Brother Gabriel replied: "Why do you act this way? Do you not believe what I have told you? You may be sure that you will become a Passion­ist." After Brother Gabriel had spoken thus I felt very contented but then no one seems to say anything about the matter. My Confessor seems not even to think of it. Will that day ever come? Oh my Jesus, grant that it will come soon. For some days now my desire has been so strong that my thoughts have been continually up there (at Corneto). I seem to be able to wait no longer and from time to time I say: "My God, you have placed a vocation in my heart and I know that you are thinking of it, but grant that it may be realized soon." Another day when it seemed that my Confessor wanted to send me to the Convent and others seemed to want me to forget the idea of becom­ing a Passionist, Brother Gabriel said to me: "Gemma, go and carry the cross where your Confessor wants you to because the time is coming when you will have to carry it in another place. As for those who want you to forget about becoming a Pas­sionist, think nothing of it. It would be easier for the heavens to fall than that the words I have spoken should not be fulfilled." These last words he spoke because I was thinking that it was all imagination - that none of it was true. Then some­times I am ashamed to tell my confessor .about these things and Brother Gabriel tells me that I am committing a sin of pride. At times I have concealed something and he said to me: "If you are not sincere I will no longer let myself be seen by you. But if you are good, I pro­mise you that I will come every night from eleven until midnight." I beg­ged him then that if my Confessor sent me to the Convent, not to let the Superior see him because she would not like it. In fact, he did come every evening and repeated the words: "You will be a Passionist." The name 'alone fills me with con­solation. What will it be like if Jesus actually gives me the grace to be one? Within the last few days some­thing stranger still has happened to me. One day when I was praying I went out of my head"(7), and I found myself before Brother Gabriel who asked me: "Gemma, have you nothing to say to me?" I replied: "Oh, I have so many things to ask you, some of them in the name of my Confessor. He wants to know about this Con­vent. Who is going to begin the work, who will finish it and how long will it be till it is started?" When I had said these words I saw several persons before me and Gab­riel pointed them out to me one by one. There were seven of them and I knew three. (8)"Oh, who are those people?" I asked. 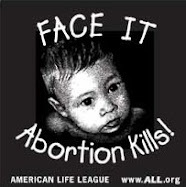 And he said: "They will be Passionist nuns. Tell Mon­signor that he is the one who, within twenty-one months, must begin this great work. Tell him to have courage because the devil is prepared to op­pose it with fierce assaults. But what difference does that make? Go on!" He became silent and later he showed me a lady and said to me: "Look, do ­you see? This lady will bring the work to completion. Do you know her?" "No" I replied. He told me her first name, her last name and the city where she was born and grew up. Then she disappeared as also did Gabriel. That I have a strange head I do not deny. In fact, I am sure of it. I have written all this to you because my Confessor told me to. As for the other things that have happened to me, I will keep them to myself be­cause they seem to me so impossible. "Why do you find such repugnance in writing to Father Gerrnanus? Don't you know who he is? He is my bro­ther." Without any more objection I am finishing the letter this morn­ing. Here I am at the end of all these things. One more thing I ask of you. If you can, please help me to become a Pas­sionist; my mind is made up. Help me; I cannot wait any longer. Will you see if they will accept me? I have absolutely nothing; I am very, very poor, my desire is all I have. Jesus will grant me the grace. (1) Miss Cecilia Giannini, sister of Matteo Giannini, in whose home Gemma lived the last three years of her life. In her Autobiography, Gemma tells how she was introduced to this good lady by the 'Passionist Father Cajetan. She was Gemma's closest confidante after her spiritual Direc­tor. Father Germanus insisted that Gemma tell her everything, that all her letters should pass through her hands. She was one of the principal witnesses in the processes for Gemma's beati­fication. (2) "I am a little strange in the head." The Italian is "la mia testa e un po' mattuccia." Our rendition seemed the best idiomatic translation. (3) Brother Gabriel of our Lady of Sorrows, now a Passionist Saint, was then Venerable. From this time on he appeared and spoke to Gemma, almost daily. (4) We know from her Autobiography that the Convent she intended to enter was that of the Visitandines in l.ucca. (5) This priest opposed Gemma's entrance on the advice of a doctor who knew that there was tuberculosis in her family. 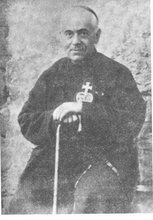 (6) Father Caletan of the Child Jesus, Passionist, was one of the priests giving the Mission in Lucca. (7) "I went out of my head". Gemma says: "... mi ando via la testa," literally translated this means: "my head went away," It is by means of this and similar expressions such as: "I went to sleep" or "my head took off" that Gemma conveys the idea that she went into ecstacy. (8) These were the first seven novices to enter the new Monastery at Lucca, only three of whom were known to Gemma. (9) "You will be a Passionist." This repeated promise made to Gemma presents somewhat of a problem since Gemma never actually entered the Passionist Nuns. A footnote in the Italian text of the letters tries at great length to explain the problemas dealing with a conditional promise depending for its fulfillment upon free agents. To the translator, however, a more simple explanation seems adequate. The promise is always kept in vague form. When Gemma presses for a more detailed explanation, it seems that it is deliberately not given. It would seem sufficient to say, therefore, that a promise was being made her, the formal element of which was certainly fulfilled, but whose material element was not. In other words, Gemma was to become eminently a Passionist, but was not to wear the Passionist habit on this earth. This explanation seems to be supported by the following fact: Not long before her death Miss Cecelia asked Gemma about the promise. Gemma replied: "Jesus has prepared the Passionist habit for me at the gates of heaven." Everything that I am about to write, I write through obedience but only with the greatest difficulty. Oh, so many times I have greatly desired to write to you but only to tell you that I want to be a Passionist-(Fa­ther, the very name makes me trem­ble), to ask, you to help me, to tell you that I suffer as not being able to realize my desire and because it seems that my Confessor does not even think of me. But in spite of all this I seem to see and feel myself a Passionist every day (this is nothing but imagination and the work of the devil), and this causes me great suf­fering. But I have received a com­mand and that will overcome all ob­stacles. Last Monday my Confessor gave me permission to write to you and to Father Ignatius, if I wanted to, and even to Father Provincial(1). This consoled me but when the time came to write I could think of nothing to say except these words: "Father, time is flying by, I can do no more. Help me, help me, make me a Passionist. Jesus wills it, Jesus wills it! I am contented, because I am doing the will of Jesus. Father, in charity do not believe any of this. I had to do much violence to myself in order to write these things, but I wanted to obey. Will you help me, will you make me a Passionist? I am dying of de­sire. There are two reasons why my Confessor is keeping me in the world. The first is because I have a sickness that is called hysteria and because of it they would not receive me. But Jesus assures me that as soon as I enter I will be cured, and nothing will happen to me after Profession. (3) The other reason is a big one: I have absolutely nothing, neither father nor mother nor money. I have only one thing, and that is the desire to become a Passionist. Please recommend me, help me because I can do no more. Send me to the convent. I want to go there because then I will 'be always with Jesus and I feel that once I am inside the convent I will never offend Him again. "My Jesus!" I could not express my­self but Jesus understood me and replied: "Daughter, be at ease, you will soon be a Passionist." Every time I seem to hear these words I feel myself tremble inside with excite­ment, but I do not know how to express myself. Father Germanus, Jesus wills it. I would make both me and Jesus happy at the same time. Do me the charity to write me a line in reply, will you? But above all, will you make me a Passionist? (1) The Provincial at that time was Father Peter Paul of the Immaculate Virgin (Moreschini). In I909, he was elevated by Pius X to the Archiepiscopal See of Camerino. (2) These were the orders giver her by her Confessor. (3) Nothing extraordinary, that is, would happen to her after her religious Profession. Jesus had promised her this many times, and the Saint often repeats it in her letters. I am writing to you now because I don't know what else to do. If you only knew what I am going through! This morning my Confessor(1) told me that before Easter he intends to have it all arranged for me to enter the Carmelite convent of St. Teresa at Lucca. He had spoken to me about this many times but had never ac­tually made a decision. This morning he asked to speak with one of my aunts here at home and instructed her to write to the nuns, asking them to send a copy of the Rule' and any­thing else that may be appropriate. I must confess to you that when I heard about this I cried very much. After Holy Communion I even cried with Jesus. I told Him all about it and so great was my confusion at that time that I thought I was all alone with Jesus and I cried out loudly to Him: "My Jesus, what are you doing? You have given me a vocation to become a Passionist and now are you abandoning me? Aren't you going to give me the grace to realize my vocation?" At that mo­ment, my sister who was near me took hold of me and led me out of the church. A little later I spoke again to Monsignor and the following words were his only answer: "My daughter, blind obedience and pro­found humility." I asked his per­mission to write to you. He readily granted the permission and told me again: "Write everything to him and ask him in my name to answer as soon as possible." Therefore, Father, I am almost abandoned even by Jesus. What shall I do then? To whom shall I have re­course? Will you speak to Jesus about these things? And tell Him also that if He wishes me to make the sacri­fice of not becoming a Passionist I will do it, so long as Jesus will not be so serious. I will do anything. Who knows if He wil ever let me see Him again? But if Jesus never looks at me again, what difference does it make? I always look at Him and if He doesn't want me with Him anymore, still I will always stay close to Him and will always think of Him, hoping that things will become as they were before. Father, in your charity recommend me to Jesus. Tell Him that I want to be good and that if He doesn't want me to be a Passionist, then take away the desire from my heart. My Confessor tells me that he will take care of me for a year in the convent, but when that time is up, who will think of me? Give me your blessing, and please do me the charity of answering soon. (1) Msgr. 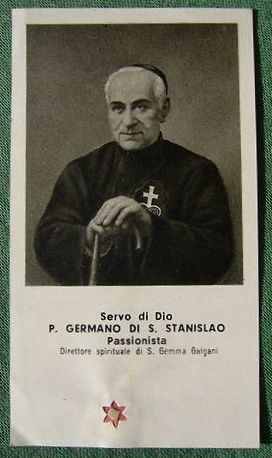 Giovanni Volpi, then Auxiliary Bishop of Lucca; the ordinary Confessor and spiritual Director of the Saint since her childhood. May God reward you a thousand times for the great good that your words produced in me this morning. I have made up my mind once and for all to obey my Confessor without a thought of the consequences. Many times he has repeated these same words to me: "Daughter, let me worry about you. You have only to love Jesus and pray for me." If you only knew the great good that your reprimands have done me! All that you said to me is very, very true. So great were the thoughts that were bothering me that I often for­got Jesus. I have already accused myself of this to my Confessor and he commanded me to think of nothing but Jesus or else he would deprive me of Holy Communion. At long last it is time for me to resolve for the future to do always the will of my Confessor and never my own will. Indeed, every time that I have fol­lowed my own ideas I have paid very dearly for it. First Jesus scolded me, then my Confessor, but I have always fallen back into the same mistake. But not from now on. I promise you that I will not complain or weep again. I will follow the path that my Confessor points out to me. I made this sacrifice several days ago. Once more I want to thank you for those dear reprimands that you gave me. Do not doubt that I will profit from them and I want to prove it to you. According to what my Con­fessor says, I will go to the convent during the month of April. When the time arrives, I will write immediately provided my Confessor gives me per­mission. Will I ever really love Jesus? I have a strong desire to love Him, yes, I would like to languish with love for, Him, but ... Many times I have asked Jesus to teach me the true way to love Him and Jesus seems to show His open wounds to me and say to me: "Look, my daughter, see how much I have suffered. See this cross, these .nails, these thorns? They are all the work of love. Look at me and learn how to love." Sometimes He says to me: "Look, my daughter, the best gift that I can give to a soul that is very dear to me is to send it suffering." At such times I cannot resist casting myself at the feet of Jesus and thanking Him sincerely because it seems that He sends me some little thing to suffer. But how do I bear these little things that Jesus in His goodness sends me? Badly. Since the day that I received your letter I have formed the habit in making a visit to Jesus in the Blessed Sacrament every morning before Holy Communion in the way that you taught me(1). After that visit, 0, how greatly I feel strengthened to suffer! I am no longer afraid. Sometimes after the visit Jesus says to me: "Go now, daughter, and have courage!" And every morning He gives me His blessing. I showed your letter to Monsignor Volpi and be was greatly pleased. Yesterday I was very much afraid because I was bothered by a big doubt. The doubt was this: I am afraid that in all the extraordinary things that happen to me every day I will be deceived and will deceive others. Of course I do not want to. My Confessor told me to think noth­ing of it and he also told me to write to you about these things. Father, beg Jesus to help me because I especially don't want to deceive others. This I never want to do. I am very much afraid. On certain days I wouldn't want anyone to see me. And then, listen to this. Sometimes when I begin to pray and especially when I am about to meditate on the Passion of Jesus my head leaves me (now don't think that my head really leaves me, but my brain leaves me, though I remain externally just as I was) and I no longer see anyone but Jesus. Neither do I notice anything else, even if they do something to me. My Confessor has told me to write to you about this too. I have tried, believe me, to distract myself and to awaken myself from my sleep; I have tried to pray with my lips, but nothing comes of my efforts. Sometimes if I have been good, Jesus lets Himself be felt by me after Communion but then I go to sleep again immediately. I ask you in charity, Father, am I being deceived and deceiving others? Ask Jesus to give you some little understanding of these things. In no way do I want to sin and offend Jesus. But Jesus helps me, I know. One thing consoles me and that is the fact that I think of no one but Jesus. Many times it has happened that they have asked me something, or carried on a conversation but I did not understand a thing and I re­main asleep as long as I want. There­fore, I am contented. When Jesus' sees that I have been better than usual (because He always grants me the helping hand of my Guardian Angel, who also scolds me if I am bad) He remains in my heart and makes Himself felt. Sometimes He does this almost too much because my heart pounds violently and I am always afraid that it will jump out of its place and I will die. And if it pleased Jesus, I would not like to die just yet because I have done nothing for Him and He has done so much for me. At such times I am afraid to let myself go completely out of my head. It seems that Jesus is so kind to me and on the other hand I am so bad. But with His help I want to be good. Father, if you only knew how bad off I am in the world! Will you help me to become a nun? But, make me a Passionist. Some time ago my Con­fessor wanted to send me to another convent, but only until such a time as Jesus wants me to become a Passionist. Now, however, he seems no longer to think of it. I am not at peace, I am very bad off. I would like to go to the convent just to serve Jesus better. Father, if you can, will you make it soon? I cannot seem to wait any longer. If Jesus wants me to go to another convent for the time, being, it would. be a great sacrifice, but I would make it gladly if only to be out of the world. I would be satisfied if only if I could be a Passionist in the end. And do you know where Monsignor wants to send me? (because he is my Con­fessor): to the Sisters of the Sorrow­ful Mother. I will do whatever they tell me, whatever Jesus wills. But Father, help me, I cannot wait any longer. Will you make it soon? If I were to tell you everything that my Confessor wants me to it would be too much because he has said: "Tell him everything." I am so afraid of annoying you. You will answer soon, won't you? Just a few lines will satisfy me. If you only knew how much good your letters do me! this beautiful virtue (humility) I advise you to make a daily visit of humility to Jesus in the Blessed Sacrament. During the visit ask Jesus to help you to understand well your own nothingness an your sins, and protest that you are not worthy to be found in the sight of His Divine Majesty. When you are alone in the church make these acts of abasement while prostrate on the floor. 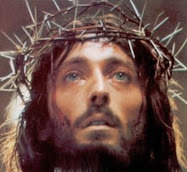 Offer your poor sufferings to Jesus In reparation for your sins." (2) Other great Directors of souls have also recommended such procedure to those who seem to have visions. For example, St. John of the Cross, St. Teresa and St. Paul of the cross. (3) Without realizing it, the Saint was being taught to say the Matins proper to each day. Hence the variation. LETTER 6- (The devil assails her in various ways to persuade her to disobey. He even appears to her posing as Jesus Crucified but the Saint always comes out victorious. She asks prayers and begs earnestly to be sent to the convent). I made the protestation that you suggested. On May 25 at the Fran­ciscan Church(1). It was Friday and I made it after Holy Communion. Ever since that time I have worn the copy of the protestation over my heart. But if you only knew! This displeases that ugly beast very much and since that time he has come to tempt me more often and more strongly. Not a night passes without him appearing to me and recently he has gone so far as to appear in the form of my Confessor. I was convinced that it was my Confessor but when I made my confession to him I discovered the trick. He wants very much to de­ceive me. He made a new assault on me yes­terday just after confession. Listen to what happened. Monsignor told me that he thought it would be well for the time being if I removed those little instruments of penance that he had been allowing me to wear for some time. To tell you the truth, this displeased me very much. But since my Confessor has preached to me so many times about obedience pleasing Jesus more than anything else, and I seem to be finally catching on, I assured him that I would gladly do what he asked. If you only knew how hard my Confessor tries to make me good, and especially obedient! But my head is very thick. When it is a matter of obedience my body finds it very dif­ficult. Anyway, when I got home after confession I had to remove a few little things that I was wearing that day. (2) I took all of them off in perfect peace. But the peace did not last long. I no sooner found myself alone (it was time for prayer) than I knelt down and began saying the Five Wound beads. I got to the Fourth Wound when I saw before me someone who looked like Jesus, and he was all covered with the wounds from the Scourging. I finish­ed the beads and then said in a loud voice: "Blessed be Jesus and Mary!" He didn't answer. I repeated the words and he said : "Blessed, blessed", but never pronounced the names of Jesus and Mary. From what I have said to you, you will understand the great need I have of being recommended to Jesus. Do me the great charity to pray for me if you think it proper. But look how good Monsignor is. Seing that I was resigned to take of those instruments of penance, he let me put them back on again. He is continually telling me to be good and to try to become a saint, and that we will overcome the Devil with the help of the Blessed Virgin Mary. Now I want to tell you something. I want to go to the convent. If only you would send me! Pray very much for me, and I hope you will answer soon. Give me your blessing, and I wish you would think it fit to place me in a convent. Miss Cecilia will also write you later, since she recieved your greetings. (1) To protect Gemma from the deceit of the devil, Father Germanus had advised her to make an act of protestation that he wrote out for her, and to carry the copy of it over her heart. In sub­stance the aet expressed an absolute renunciation of the devil and all his works, with particular reference to his attacks on her. 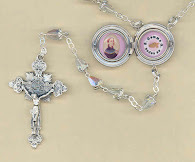 (2) She refers, of course, to the insruments of penance that she was wearing with Msgr. Volpi's permission. "Most Rev. Excellency: I was very sorry not to have seen you in Rome because of your leaving so soon. I was also displeased with the advice that Father Ignatius gave you, namely of giving into other hands the very difficult direction of this angel called Gemma. I think that the enemy is trying very hard to molest this poor child in body and soul. But I maintain that her spirit is excellent and that the greater part of the phenomena that are manifested in her are from God. I judge this way on the grounds of her ingenuous simplicity, her sweet calmness and above all her ready willingness to undergo investigation and her sincere humility. There are some things, if I am not mistaken, that come from imaginary impressions just as children are always impressionable, being greatly im­pressed even by supernatural and divine things. But I repeat, according to my way of seeing it, there is still much that comes from the devil. For these reasons, it wouldn't do for her to have just any director. Therefore, your Excellency should not abandon this poor creature. I would ad­vise you to perform an exorcism now and then; to give her formal prohibitions not to pray dur­ing the night, or practice austerities, or indulge in contemplative prayer; to flee everything ex­traordinary; to occupy herself in work proportioned to her condition, but work that is absorbing and distracting; and above all keep her far from doctors even if they be saints. In this case, the medical profession has nothing to see. All these precautions and prohibitions will not stand in the way of the action of the Spirit of the Lord, to whom this innocent, pure and virtuous soul is certainly very dear....... "